Is it snowing in Belleayre ?¡Gracias! Belleayre in the United States (New York State) is a medium sized ski resort with 7 ski lifts that offers skiers a respectable 428 metres (1404 feet) of vertical descent. 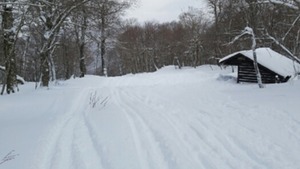 We have no information about the existence of any cross country ski trails at Belleayre. The nearest airport is at Stewart International and the nearest train station to Belleayre is at Rhinecliff.